Garvanu is a delightful Gujarati authentic dish, it hails from South Gujarati cities like Surat and Navsari. Surti Jaman (food) contributes it's unique touch to Gujarati Cuisine. 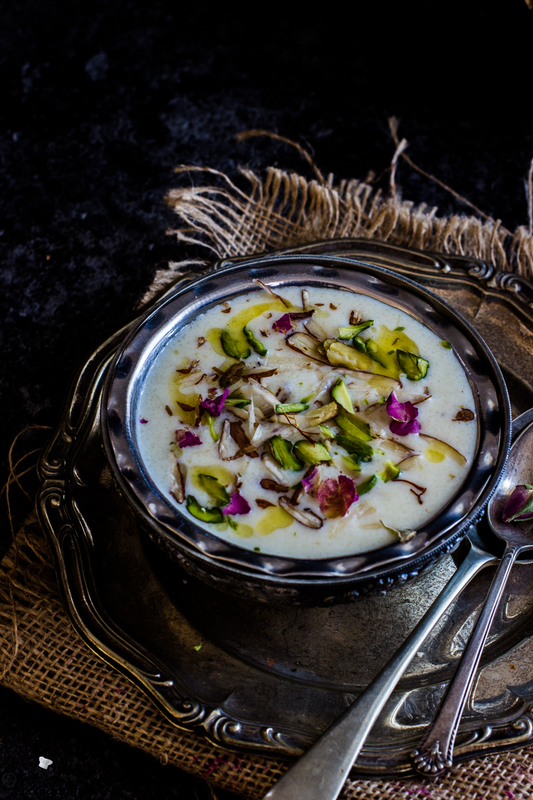 This luscious and flavourful kheer is made with very basic ingredients like semolina, sugar and milk. 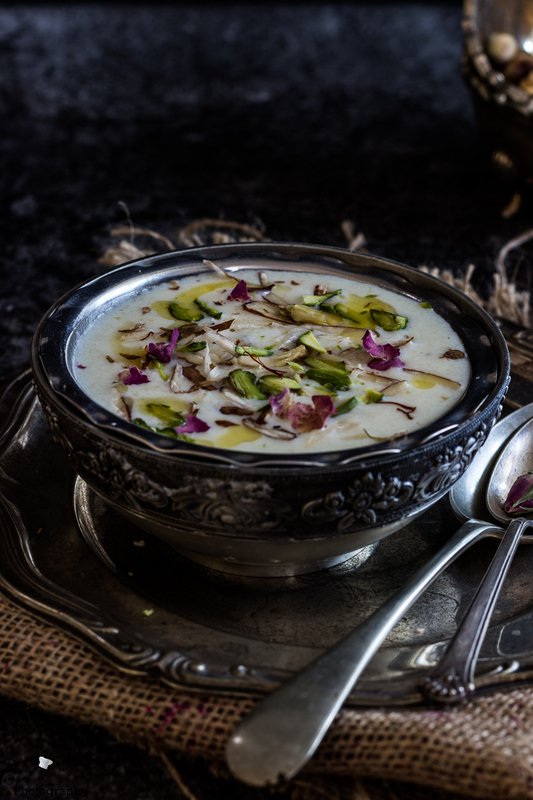 This traditional kheer is mostly prepared on Gujarati religious festival like Sheetla Satam, but I have seen my Mum preparing on many festivals, especially on the Asthmi during Navratri. BTW guys Garvanu meaning Sweet, however this kheer is not sickly sweet, it just right mildly sweet and spiedc! Perfect on it's own as after an Indian meal or it can be devoured with some hot and fluffy puri and pakoda. 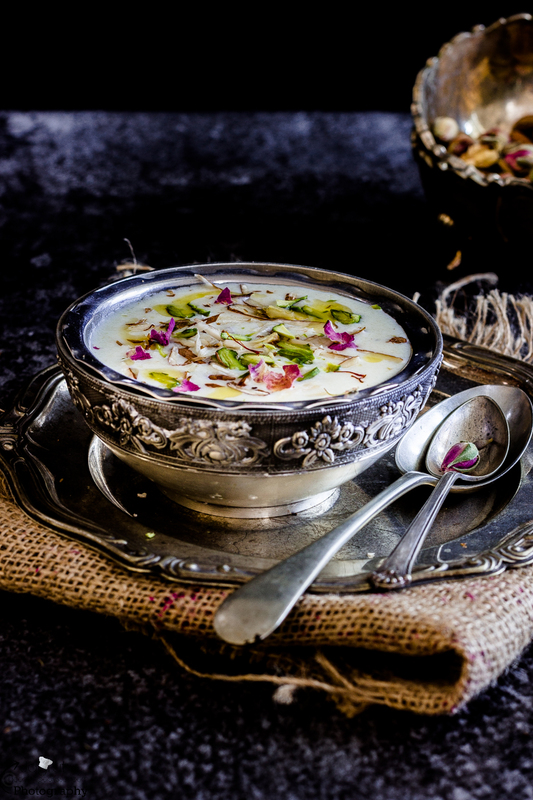 In this traditional recipe, no nuts are used for garnishing, but I did use almond meal and pistachio nuts as without any garnishing this pudding may look boring on your dinner table, but once it is jazzed up with few slivers of nuts and edible flower petals it will be like the centrepiece! Place milk in a heavy bottom pan or kadai and bring it to boil. Let it simmer for 12-15 minutes. Once you have roasted semolina, add in milk and mix well, also add almond meal if using. There should not be any lumps, add sugar and let it simmer for another five minutes. Turn off the heat, add cardamom, cinnamon and nutmeg powder. 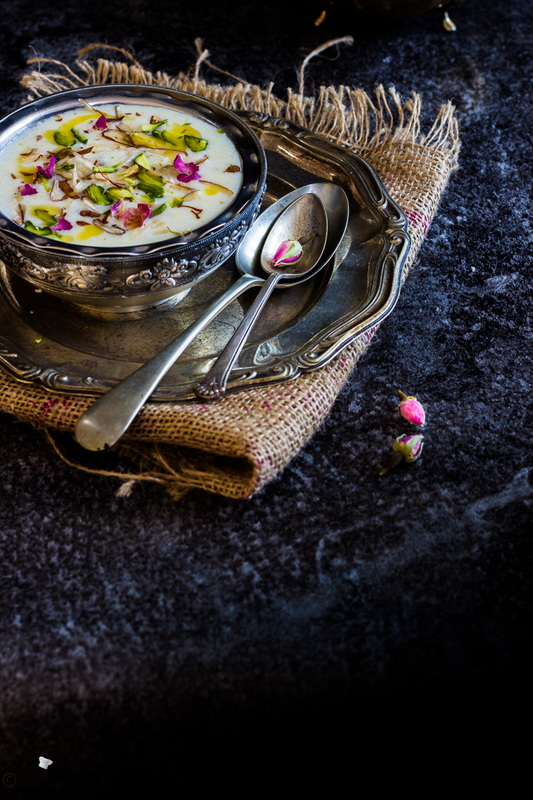 The consistency of this kheer should be little thicker than normal kheer. Garnish it with the nuts and edible flowers. I am so ready for all the comforting pudding recipes like this. It looks delicious! Gujarati food is so delicious, and I love traditional dishes like this Garvanu. The subtle flavours, along with the not overly sweetness makes this a wonderful comforting dish. I've never tried puddings like this, but it looks so delicious! I've never heard of anything like this before, but think it looks beautiful! And with ingredients as rich and decadent as these, I'm sure it tastes amazing!